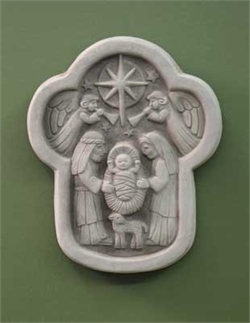 Home > Nativities Sets > USA Nativities > World at Peace Hand Cast Stone Made in U.S.A. This has an Aged Stone Patina, a custom color. The Aged Stone Patina on a natural stone base replicates soft brown earth tones. Since colors are artistically applied by hand, no two pieces are exactly alike.